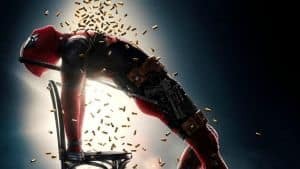 Deadpool 2 Breaking Records | Nerd Much? Deadpool 2 has only been in theaters for hours, yet it’s already claiming records. Ryan Reynolds and the film’s team have done it again. The sequel was shown in 3,785 theaters last night during its Thursday night preview run. The “preview” was a success to say the least. The film earned a whopping $18.6 million overnight. A record for R-rated films. The record was actually held by the first Deadpool following the movie’s release in 2016. The superhero flick was then overtaken by 2017’s adaptation of Stephen King’s It. And then last night, Reynolds and his crew took back their crown. Deadpool 2 was projected to perform admirably at the box office this weekend. But now the film is poised to blow those projections away. The sequel is now expected to rake in between $130 to $150 million in North America through Sunday. It’s launching globally too (excluding China) and is expecting to generate an additional $150 million from the foreign market. The success of the movie should be sufficient enough to earn it the number one spot over the weekend. Thus ending the reign of Avengers: Infinity War – which would certainly make the character of Deadpool quite proud. Critically, Deadpool 2 is getting fantastic reviews for the most part. It’s at 84% on Rotten Tomatoes, and many believe the sequel exceeds the high bar that the first Deadpool set. But one has to wonder whether the eccentric marketing campaign for the movie has anything to do with its historic success. Ryan Reynolds and 20th Century Fox went above and beyond to promote the film. With some stunts more outlandish than others. From Bob Ross painting to a pair up with Celine Dion, the Deadpool character has been seemingly everywhere to get the word out about his movie. As far as the future goes, Reynolds has said that with the success of Deadpool 2 the franchise will likely “be able to take two paths. X-Force is where we’re launching something bigger, but then Deadpool 3 is where we’re contracting and staying personal and small.” Regardless which comes first, we’re all in.